Creating gardens in the temperate climate of England and the Mediterranean temperature of Portugal, is about as extreme to gardening in the lush rainforests surrounding Kuranda. 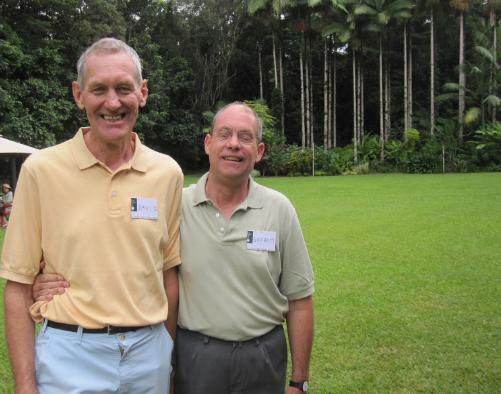 This weekend, as part of Australia's Open Garden Scheme and ABC local radio, you can visit the spacious gardens of two proud Englishmen, David Sturge and Graham Payne, who have made tropical North Queensland their home. "We were keen to experience a tropical garden when we moved here four years ago,” says Graham Payne. Graham and David's large tropical garden is set in more than 100 acres of pristine rainforest, alongside the Barron River, ontop of the Kuranda Range. 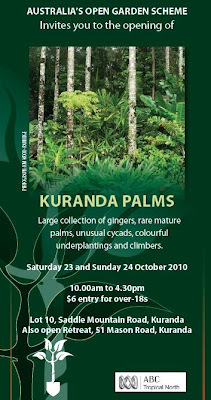 This Saturday and Sunday, Kuranda Palms will open to the public. 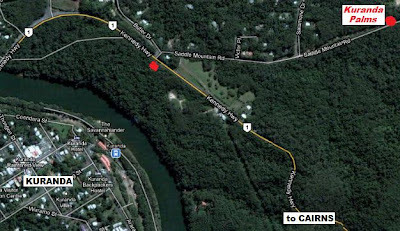 "Our garden is a large, informal garden adjacent to the magnificent natural environment of the World Heritage National Park of the Kuranda range," Graham Payne told CairnsBlog. "There's mature palms and large trees that overhang the entrance, which opens out onto a large lawn surrounded by colourful borders and tall palms, backed by the rainforest." many rare tropical palms from around the world. The combination of the exotic plants in the garden, and the surrounding forest with its walks, creek and waterfall, will make this open garden visit, a memorable experience. Tablelands Regional Council awarded Kuranda Palms the top prize in the Country Rural Gardens awards. The Kuranda Country Woman's Association will provide refreshments over the weekend, and the garden is suitable for wheelchairs. There will also be plant sales. In the grand scheme of things Quickie - does it really matter "What do they grow". They have very generously opened up their home to the community so that people can admire what has been created there. Why don't you go along and have a look. It might just open your eyes and broaden your horizons. Thanks Mike for mentioning this open garden, we'd never have known otherwise! I have actually been on the AOGS email list for a few years now but haven't heard boo from them for over a year. We visited Kuranda Palms today and enjoyed the garden and the hospitality immensely.